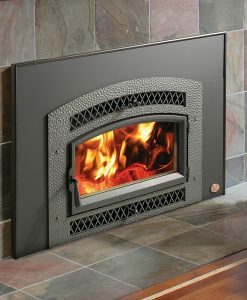 Declaration Plus with Single Arched Door The high-performance heat and superior design of this fireplace insert are truly out of the ordinary. 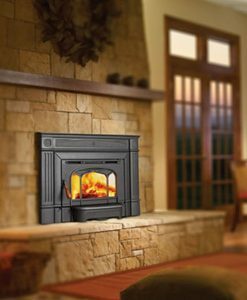 Our exclusive flush-to-the fireplace design enhances the beautiful lines of a classic fireplace and provides modern heating efficiency. 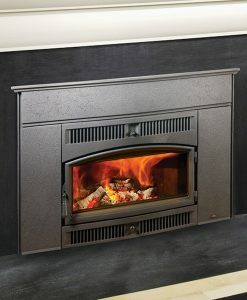 The huge view of the fire through our large, single door remains clear thanks to our air wash system. 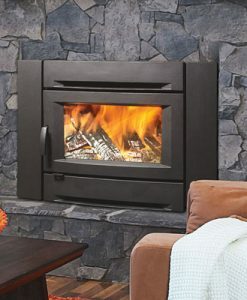 The Declaration Plus – also features a variable speed, high volume blower which can utilize the hard-wiring option kit to preserve the classic good looks of your existing fireplace without a power cord showing on the hearth. 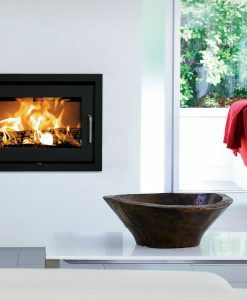 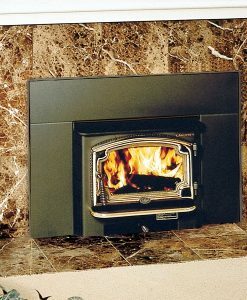 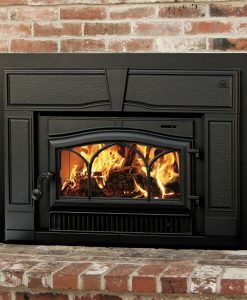 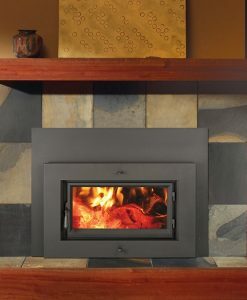 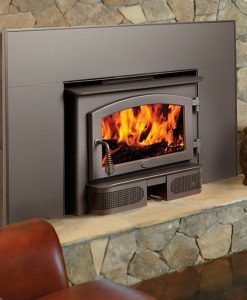 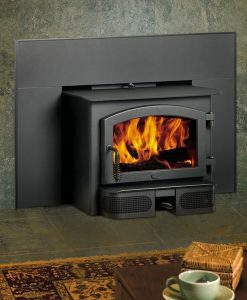 Heat a room or a home up to 2,000 square feet with less wood and longer burn times and is designed to be installed in both masonry and zero clearance wood burning fireplaces.